Y’all. Let me introduce you to the ONLY dip recipe you will ever need this fall. 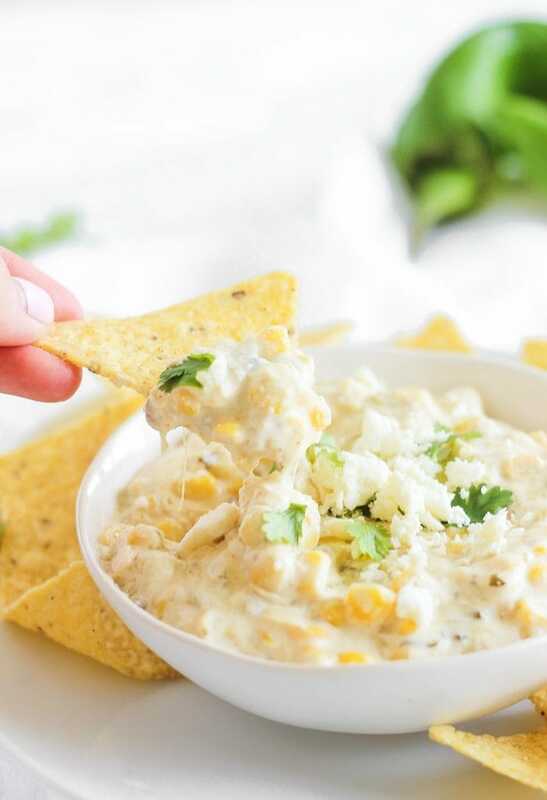 Meet Healthier Slow Cooker Green Chile Corn Dip. 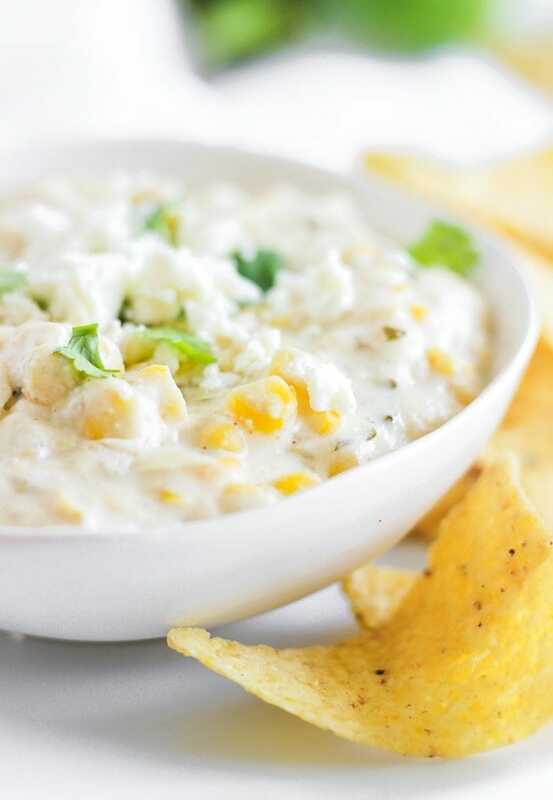 This epic corn dip is a cross between Esquites (or Mexican Street Corn) and a delicious corn dip that one of my good friends makes. Except that it’s made in the slow cooker. And its healthy. And it’s creamy and dreamy and warm and utterly delicious. You will want to bring it to all of your tailgates and football watching parties. And once you do everyone will beg you to bring it to every one after that. So you’d better stock up on ingredients. Luckily, this delicious dip is made from healthy ingredients that I typically keep on hand, as do most people in the southwestern states! In late summer, I love to use fresh corn and roasted Hatch chiles, but you can also use frozen corn and canned green chiles and it will be just as tasty. Like most of my healthier dips and salads, I use plain nonfat Greek yogurt to keep it extra light but still creamy. The secret to the extra-indulgent taste here is the light cream cheese. It melts so beautifully in the slow cooker for a cheesy, creamy dip that tastes amazing. 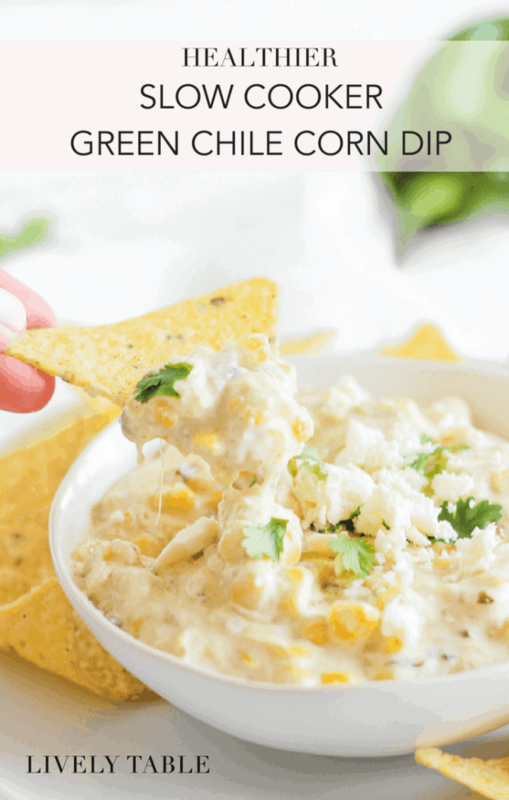 What makes this healthier green chile corn dip perfect for game days is that you can stir together all the ingredients right there in the slow cooker, let it heat up, and keep it warm all day long. No mess, no babysitting, and hardly and cleanup. It really is so easy! 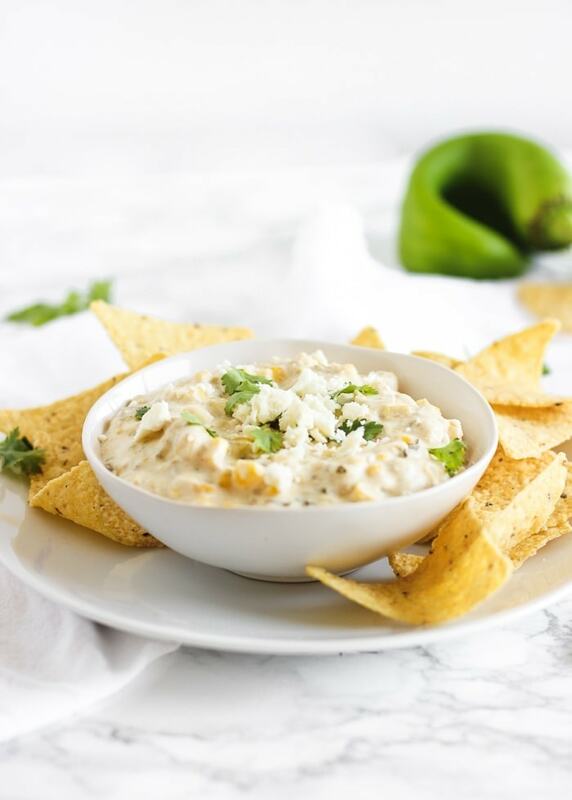 Take this Healthier Slow Cooker Green Chile Corn Dip to your next football party with some tortilla chips and cut up veggies for the ultimate crowd-pleasing appetizer that will have your friends begging for more! 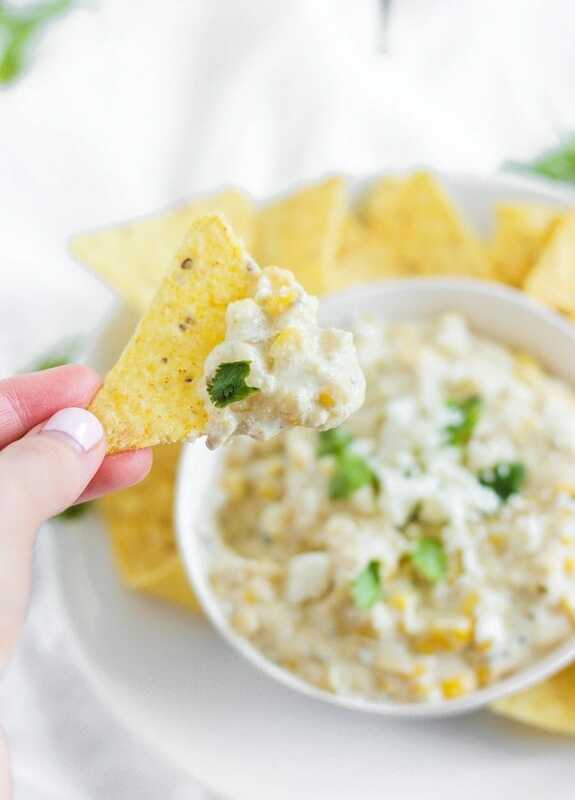 A creamy, healthier slow cooker corn dip with roasted green chiles. It’s the perfect appetizer for game day tailgating! Stir all ingredients together in the slow cooker and cook on high 30 minutes, stirring occasionally. Turn down to low and cook until onions are soft. Turn off heat (or keep on warm setting) and serve with tortilla chips, veggies, or crackers. It looks delicious – and dreamy and creamy 😉 Thanks for linking to my Esquites – I’m constantly amazed by how similar our food palates are!! This looks so good! And I love that it’s made in the slow cooker…so simple! This looks AMAZING, Kaleight! I will have to try.